I initially received The Deadly Tower of Monsters through the PS+ program. At that time I looked at some of the artwork and shrugged it off, allowing it to collect dust in my digital library. Now that I have had the chance to give it a proper playthrough, I might have to admit that I made a mistake. Do know that it’s not because of the graphics however. Yes, they are competent in every sense of the word but clearly show that this is an indie title that did not have the advantage of all the best technology. There are some examples of creativity making up for a lack of technique such as some unique use of grainy filters to play up the theme of the game as an old sci-fi movie. Other than that, there is not much to say as you will never fail to recognize a tree or a dinosaur as what they are intended to be or for one another. Going back to the point about creativity, the biggest draw of this game is the charm. At no point does it take itself seriously. The narrator specifically is portrayed as the absent minded director of the movie doing commentary for its DVD release. It is his interactions with what the gamer is currently doing that allow them to break the 4th wall in a way that makes sense and is often just plain funny. He will comment on how they have the wrong outtake when the player is defeated, how budget restrictions forced them to use some of the odd enemy designs or even point out how the cords are visible on flying objects (and of course they did animate cords on everything from spaceships to bats). 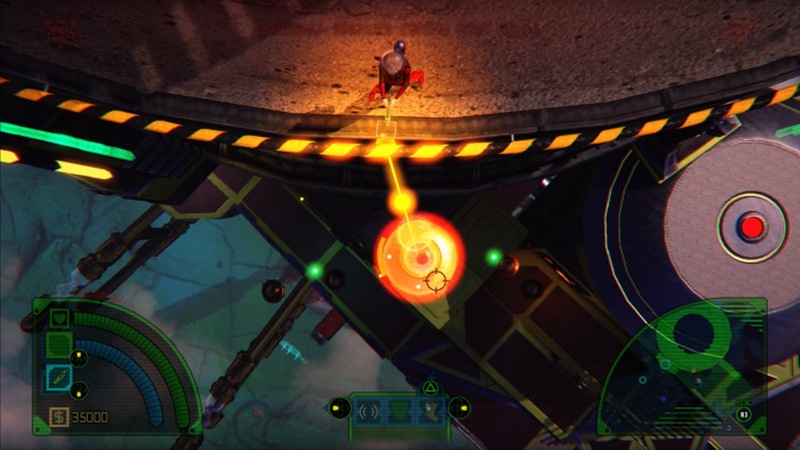 As for the actual gameplay, it is a twin stick shooter. If you have played one, you have played them all. In this case they simply stand out by how they attempt to diversify the combat. There is a large variety of weapon types as well as three characters that have their own unique abilities required for progression or collection. The metroidvania style collectables make good use of the characters abilities and give you reason to swap between them. However, I don’t feel that the weapons did quite as well. It’s never a bad idea to give people options but there are so many weapons and no way to upgrade all of them that you will end up ignoring a large amount because you are sticking with what you know or what you have already dropped resources into. I can’t stress enough how well they did with the concept. As it’s meant to be a B-Movie in video game form it never feels odd to all of a sudden be fighting robots instead of dinosaurs or why the jungle just gave way to a giant mechanical tower. Gamers crave variety but don’t always get it because it doesn’t fit the atmosphere or design. Not a problem here. One thing I don’t usually talk about is the length of a game. This one got it spot on at about 3-6 hours, depending on how thorough you are with finding everything. Unless they were to have added a coop mode to the game it would have worn out its welcome had it been much longer. It’s like when you hear your father make a lame joke, the first time it’s kind of funny and you can’t help but think to yourself, “good on him for trying.” Deadly Tower however, doesn’t tell that same joke, years later, for the thousandth time at your uncles birthday so that you are forced to just roll your eyes and walk away. 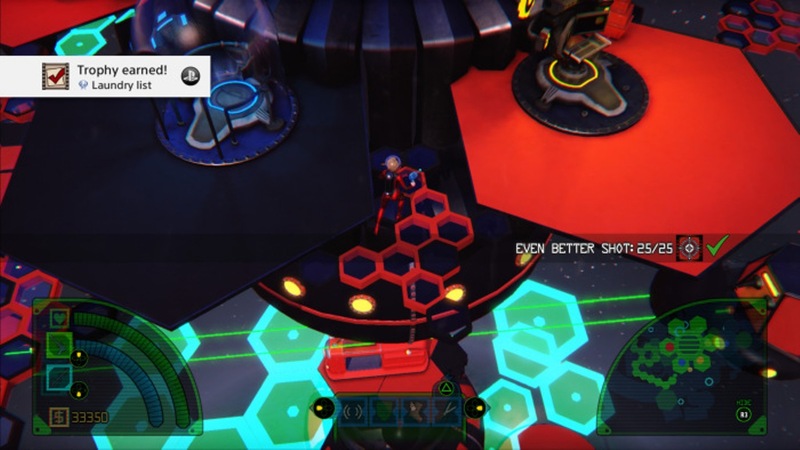 The platinum trophy for this game can be achieved rather simply through a nice balance of in game requirements. Some are based on progression, others discovery and a few on collectibles. So at no point will you feel like you are being forced to repeat the same mundane task a hundred times over. While it is probably faster to follow a guide on your initial run through, there is a very convenient fast travel system from the map and no trophy that can be missed permanently. So I highly recommend just playing through the game normally, as it would only add another hour or so to go back and polish off any trophies you didn’t just happen upon afterwards. 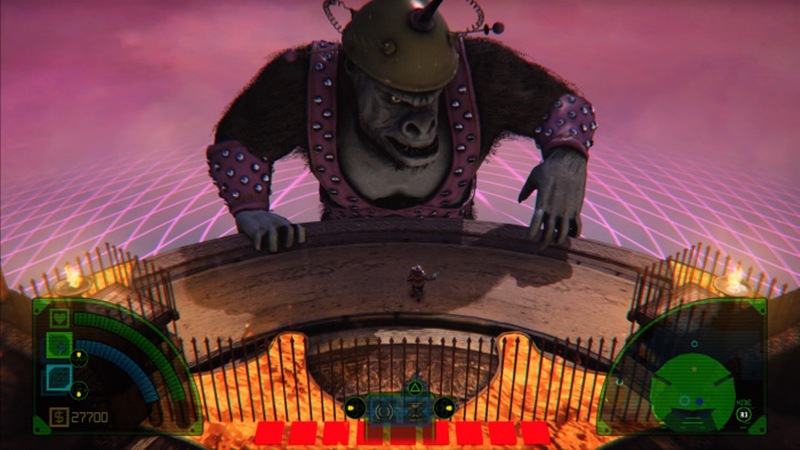 The Deadly Tower of Monsters is a title that I really did not expect to enjoy as much as I did. While it won’t be winning any game of the year or innovation awards it is a fun adventure that should not be thrown to the end of a backlog list. It’s short, funny and doesn’t take itself too seriously. If you are between titles and have this in your catalogue, give it a whirl. February 17, 2017 in PC, PS4, Review, Sandro Luketic.